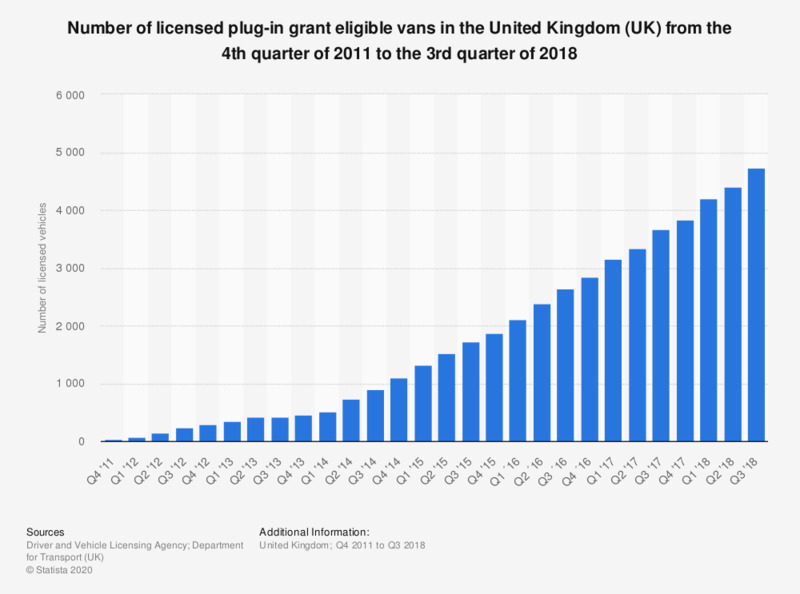 This statistic shows the increase in the number of plug-in government grant eligible vans licensed in the United Kingdom (UK) between the fourth quarter of 2011 and the third quarter of 2018. Vans which are eligible for government grants are either electric vehicles, plug-in hybrid vehicles or hydrogen fuel cell vehicles. Although there was still only a small number of such vans, there has been a steady growth in the number of licensed vehicles with a surge of growth in 2014. By the third quarter of 2018, the number of plug-in government grant eligible vans licensed in the UK amounted to 4,734 vehicles. How suitable for day-to-day-use do you consider a plug-in hybrid as a drive type?